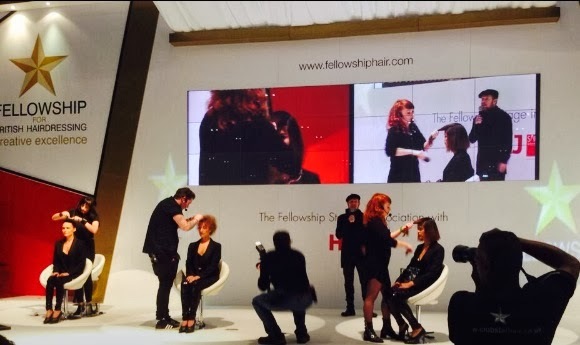 I took to the stage with my colleagues on the Sebastian Professional Cult Team at Salon International 2013 in London this Autumn and it was truly exciting. I was one of three Cult Team members working on the Fellowship Stage presenting three looks from the New Counter Balance Collection. With the Cult Team - I am on the far left! The New Counter Balance Collection is about the clashing of textures - and about defining those clashes with a unique balance. Myself, Lee Brown and Elenora Dean each had a model that we pre-prepped backstage before showcasing in front of the audience. The entire collection was broadcast first before the models were completed live on stage. The look that I created was called Top Gloss, taking inspiration from the clashing of textures, specifically shine, shape, polish and structure - therefore culminating in a strong visual silhouette that fulfilled the brief given. The show also involved a Q & A as we worked and as part of the show we also debuted two new Sebastian products: Texture Maker and Shine Shaker which were used in all three looks. 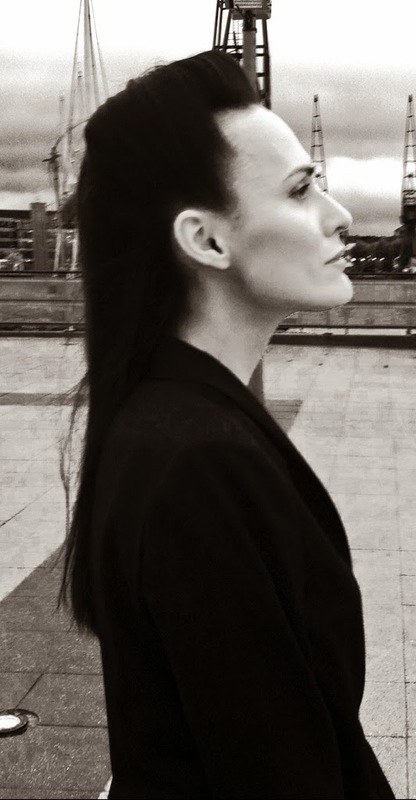 The new products were used in the entire New Counter Balance Collection as they helped to create and enhance the looks. From my perspective, being an Educator for Sebastian it was a great opportunity for me to learn about not only the new collection but also about these fantastic products, which I have been able to feed back to my colleagues at The Vinery - so we really are at the cutting edge of the Industry! In fact, Sebastian Shine Shaker has proved to be so popular in the first couple of weeks in-salon that it sold out almost immediately!